This time of year, a lot of parents start getting subtle (or not so subtle) hints about what their kids would like to see under the tree on Christmas morning. If you’ve been hearing I hope Santa brings me a tablet, along with sighs and nagging glances, then hopefully this round-up of the best kids’ tablets will help. 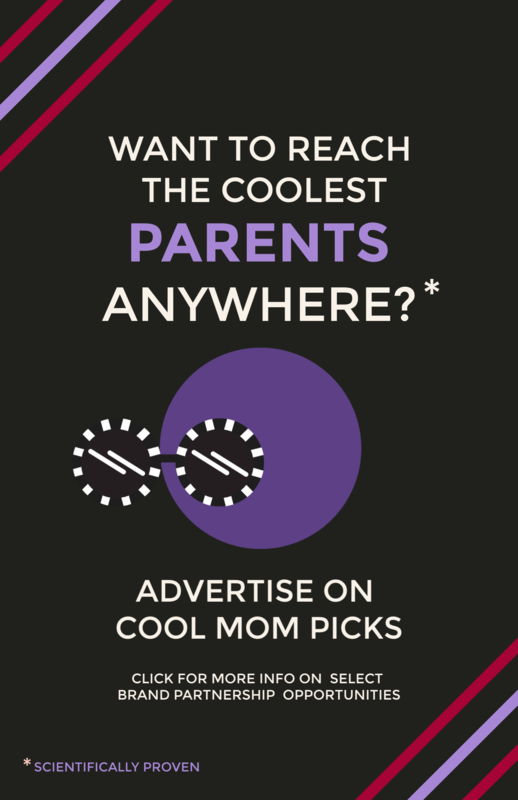 There are lots to choose from, depending on your kids’ ages and what you’re looking for in a kids’ tablet. Based on our testing, here’s a breakdown of the best kids’ tablets out there right now. While we wouldn’t necessarily call the iPad a kids’ tablet, many of our kids have taken over our tablets, and we know how much they love them. 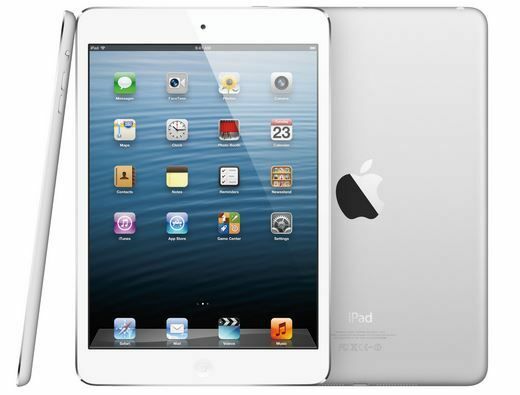 But if you happen to be in the market for a new iPad Air 2 or iPad mini 3 for yourself, your old model might be a perfect tech hand-me-down to a lucky recipient. The iPad is a tremendous learning and entertainment tool for kids of all ages, and it really trumps all other tablets when it comes to the breadth of kids’ apps available, especially on the educational side. If you’re handing down an older model, be sure to check out Kristen’s handy guide for handing down an iPod — you can apply many of the same tips. And we definitely recommend protecting it with a kid-friendly case, of course. 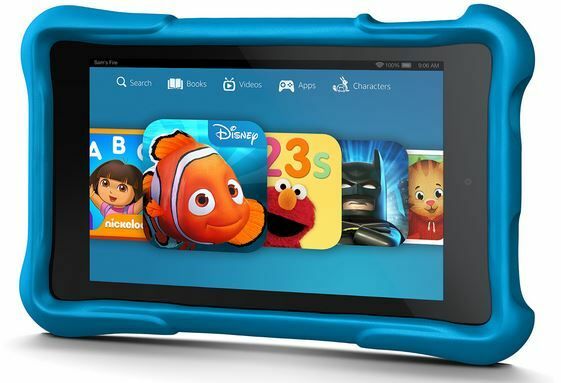 Amazon recently announced a Fire tablet designed specifically for kids. It’s really pretty much the same, functionality-wise, as a regular Fire HD tablet, but there are some pretty awesome add-ons that make it an appealing choice for parents. The biggest is the 2-year Worry Free Guarantee. If your kid drops it, spills on it, or just downright breaks it, you send it back to Amazon and they’ll replace it for free. That is HUGE. In addition, you also get a year of FreeTime and a protective case. 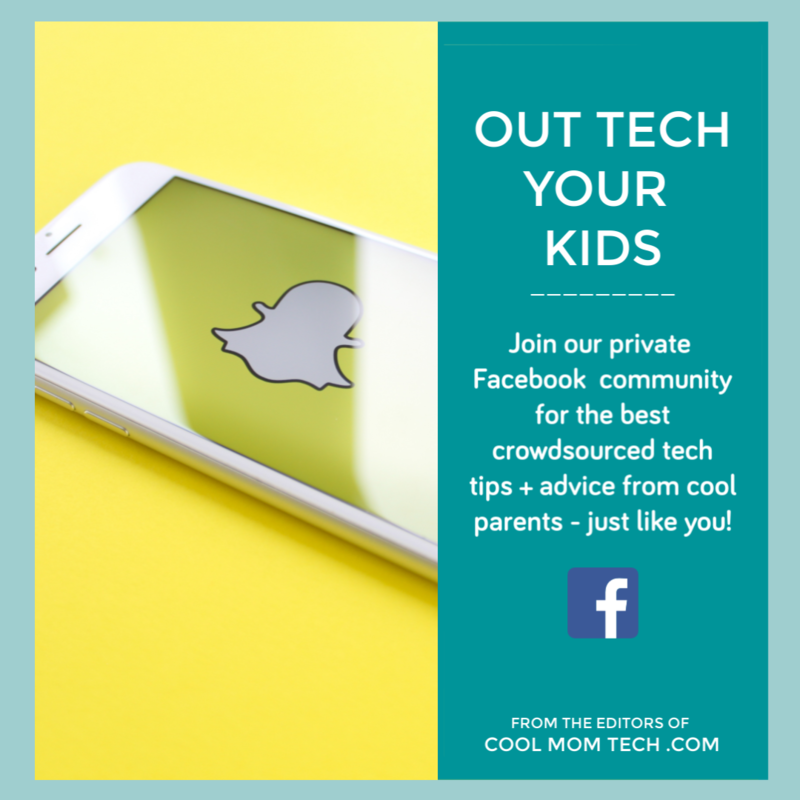 While we love the vast amount of content that kids have at their fingertips with FreeTime, we know how important it is to make sure kids only have access to the content we want them to see. Unfortunately the parental controls on the Kindle Fire HD Kids aren’t very flexible. The same settings apply no matter who is using the tablet, whether it’s a 3-year-old or a 9-year-old. 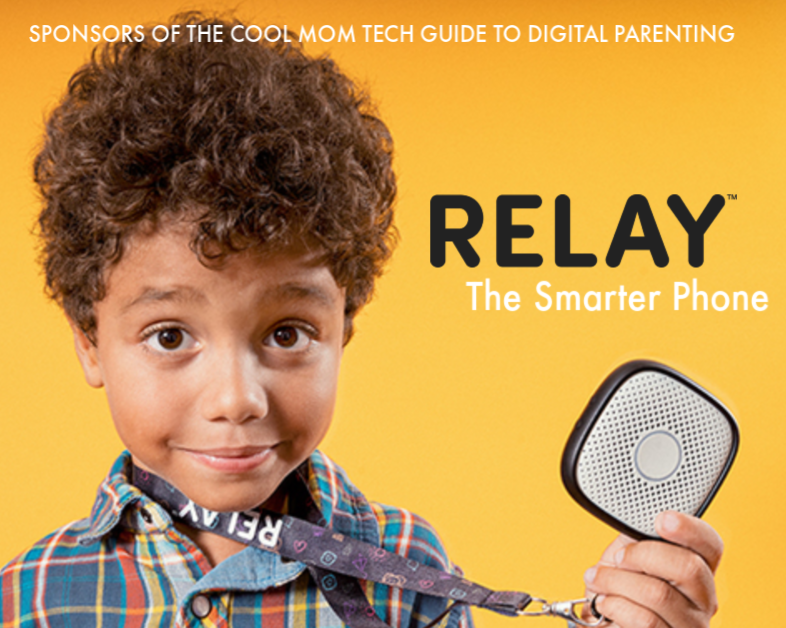 That’s one issue worth considering, especially if you have multiple children who will be sharing the device. 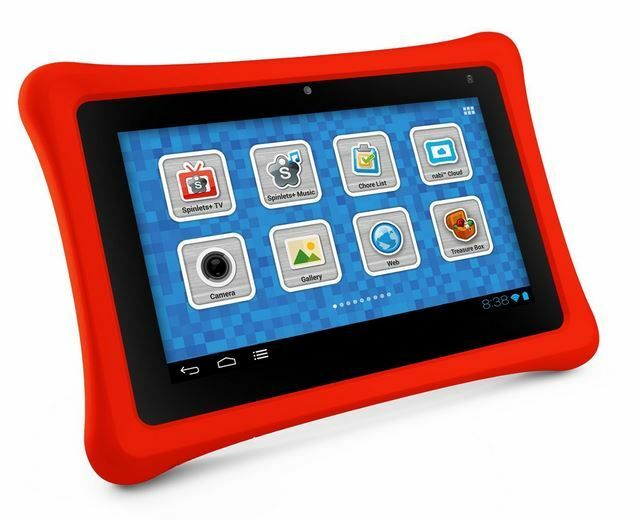 That said, we still recommend this as a solid kids’ tablet whose benefits outweigh the issues. And it makes even more sense for families who already subscribe to Amazon Prime, which gives you access to even more free content. For Android devotees who want the familiarity of this platform, the Samsung Galaxy Tab 3 is a solid choice. 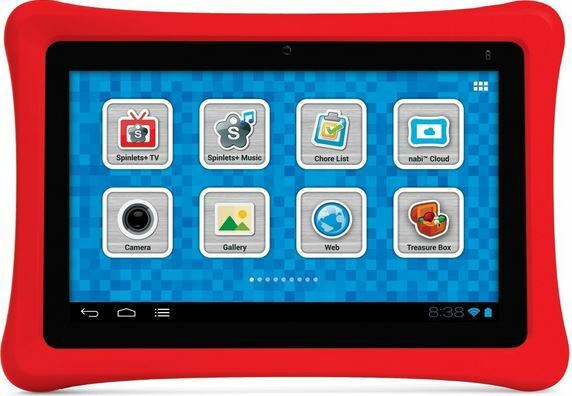 Don’t let the kid colors and cute pre-loaded apps fool you into thinking this is just a tablet for preschoolers. Like many tablets these days, there is dual mode functionality, with one interface for kids and then the ability to turn off kid mode and use it as a regular tablet. It also comes pre-loaded with lots of content, including favorites like Fruit Ninja, Where’s My Perry, and Wipeout. You can also download more cool apps via Google Play, as well as the Samsung Kids’ App Store, though that doesn’t feature nearly as much content. The 8 GB tablet also comes with robust parental controls, letting you do things like designate certain times of day for kid usage and filter content, which makes it great for sharing. No guarantee that your kids will share so easily though. We have always liked the nabi 2 and recommend it as a feature-rich tablet that’s designed for elementary school-aged kids. Like some of the other tablets mentioned, this one comes with dual mode functionality, which gives parents the option to use it, but it really is meant for kids. One of its biggest standout features is the integration of the Wings Learning System that comes with every nabi tablet, giving the nabi 2 a big edge in terms of pre-loaded content. We have covered many nabi products in the past, including the nabi Jr. (great for preschoolers), nabi Square, and most recently, the very big nabi Big Tab. What’s great about the company, along with its other tablet offerings like nabi DreamTab (for kids who want to play with the creative Dream Pro Studio software) and nabi XD (for tweens), is that education is their priority and their products show it. Of course, there are the fun apps that you can get on Google Play, but we really appreciate nabi’s dedication to learning apps and educational features. 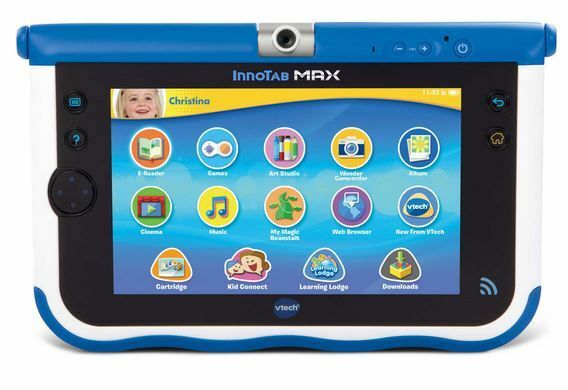 If you want to introduce your preschooler or kindergartner to a tablet, the InnoTab MAX is a good starter gadget. In our recent review of the product, we remarked at how it has grown up, but it is certainly still a little kid’s tablet. 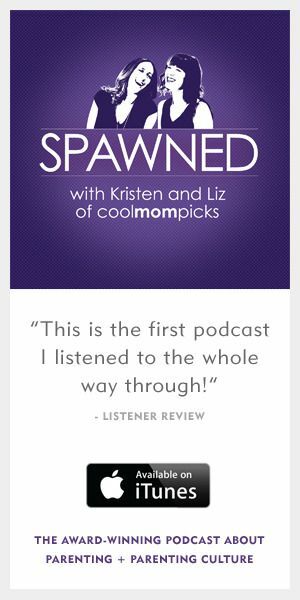 There isn’t access to iTunes or Google Play, which might be a pro for many parents. There’s a much smaller selection of content on the Learning Lodge, which is VTech’s app store equivalent, but there are still plenty of great options for youngsters with an educational focus as well. In addition to the Learning Lodge, VTech also offers a wide variety of cartridges that you can plug and play, though not all from previous models are compatible. And there are fun features like a camera, art studio apps, even an app for texting with mom and dad that will make kids feel like the InnoTab MAX is more of a tech gadget than a toy. And of course it’s got parental controls, which is appreciated on a tablet geared for this age. 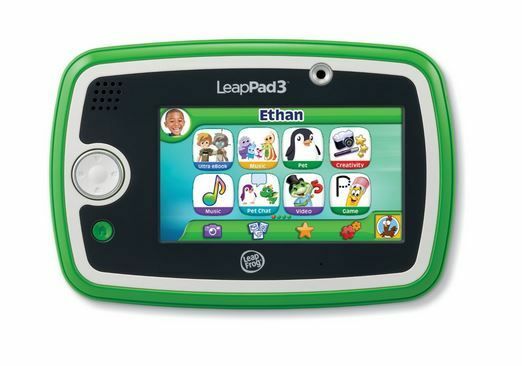 We can’t talk about InnoTab tablets without covering LeapFrog too, and the LeapPad 3 is another great choice for kids ages 3-6 (even though they say up to age 9). 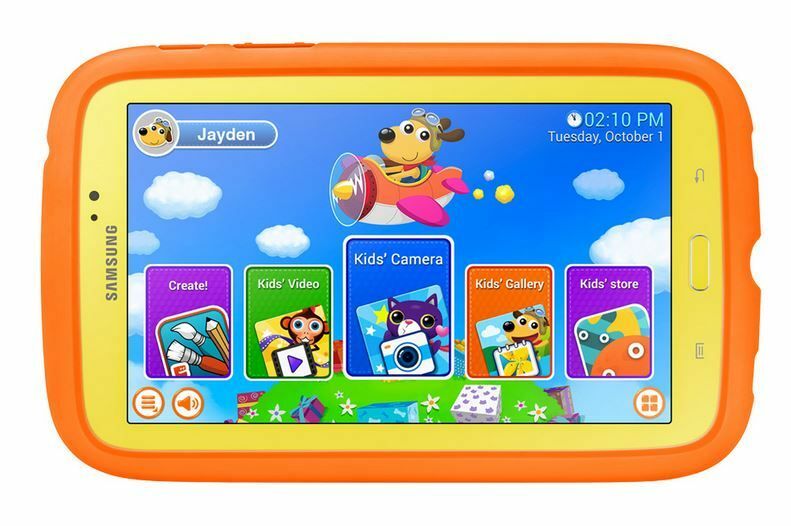 Although the 5″ screen is smaller than the InnoTab’s 7″, and the resolution is lower, it offers a fast processor, rugged outer frame, Wi-Fi with safe kid search and a really expansive app library (more than 1,000+ apps and cartridges). What’s also neat in this version is that LeapPad 3s that are in proximity to each other can engage in peer-to-peer play for an added layer of gaming fun. The choice between the two really comes down to personal preference, which look you like better and which existing cartridges you have. 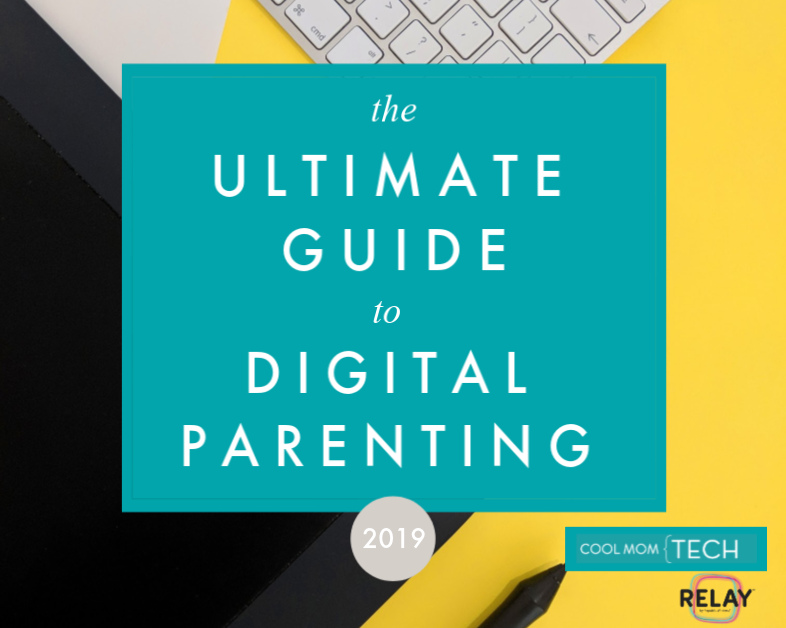 They’re both great gadgets with parental controls, Wi-Fi connectivity, tons of educational content, cameras and much more. See more kids’ tablet reviews in our archives. And don’t miss our Holiday Tech Gift Guide for more holiday present inspiration.